Draft: 2007, Los Angeles Angels, 6th rd. Full name is Ryan David Brasier ... He and his wife, Shaina, have 2 children, Kolten and Avery ... Originally signed by Arnold Brathwaite (Angels) ... Attended Weatherford Community College (TX) during the 2006-07 academic year ... Graduated from Wichita Falls (TX) Rider High School. Saw his 1st ML action since 2013 and appeared in a career-high 34 games for BOS .. ... Also named an International League All-Star, serving as Triple-A Pawtucket's closer ... Remained on the ML roster through the end of the season following his selection from Pawtucket on 7/8 ... Was the recipient of the 2018 Lou Gorman Award, given to the Red Sox minor league player who has demonstrated dedication and perseverance in overcoming obstacles while working his way to the ML team ... Among AL pitchers with a minimum of 120 batters faced, ranked 2nd in WHIP (0.77), 4th in ERA (1.60), 5th in opponent OPS (.482), and 9th in opponent AVG (.171) ... Signed by BOS as a minor league free agent on 3/2 and was assigned to Pawtucket ... Made his Red Sox debut on 7/9 vs. TEX, marking his 1st MLB appearance since 9/27/13 for LAA at TEX ... Began his Red Sox career with 7 scoreless appearances (8.0 IP, 7 SO); allowed only 5 of 28 batters to reach safely (3 H, 2 BB) in that span ... Posted a career-best 9.0-inning scoreless streak from 8/5-25 (9 G, 3 H, BB, 10 SO, .111 AVG, 3-for-27) ... Earned his 1st career ML win in the Sox' comefrom- behind victory on 8/30 at CWS ... Ended the year allowing only 1 hit to his last 25 batters faced (.043 AVG, 1-for-23), beginning 9/9 ... Threw a perfect 8th inning in the Sox' division-clinching win on 9/20 at NYY ... Allowed 0 runs in 25 of his 34 games for Pawtucket ... Did not allow an ER over his final 22 appearances (22.0 IP) for the PawSox before being added to the ML roster on 7/8...Included a 16.0-inning scoreless streak (5/21-6/29) ... Also converted each of his final 12 save opportunities for Pawtucket, 5/4-7/7 ... Did not appear in the International League All- Star Game due to his promotion to BOS ... Limited opponents at Triple-A to a .215 AVG (29-for- 135) with just 7 XBH (.289 SLG) ... POSTSEASON: Made his postseason debut...Appeared in 9 of the Red Sox' 14 games, allowing only 1 run (1.04 ERA) while holding opponents to a .219 AVG (7-for-32) ... Allowed 0 runs in 3 ALDS games against the Yankees.. ... Recorded 3 SO in 1.0 IP in Game 2, then pitched a perfect 7th inning in the Sox' clinching Game 4 win ... Also allowed 0 runs in the ALCS vs. HOU, appearing in Games 1-4 and allowing 3 hits in 4.2 IP ... Pitched in Games 1 (0.2 IP, 1 R) and 3 (1.0 IP, 0 R) of the World Series vs. LAD. Started season with Triple-A Salt Lake and made 10 appearances for the Bees in April before promotion to the Majors on May 1st... Made Major League debut for Angels on May 2nd vs. Baltimore and allowed two runs on two hits in one inning of work...Pitched a scoreless inning on May 5th before being optioned back to Salt Lake the following day... Was recalled by the Angels on May 16 but did not appear in a game for the Halos during second stint with the club and was optioned to Triple-A on May 21... Pitched the remainder of the Triple-A season for the Bees and registered a 5-2 overall record with 10 saves and a 4.13 ERA (56.2 IP - 26 ER) in 38 regular season games for Salt Lake... Recalled from Triple-A Salt Lake on September 1st for third stint with Angels…Did not allow an earned run in five September appearances (7 IP) for the Halos...Only earned runs allowed in the big leagues came in Major League debut... Across seven total relief outings for the Angels, went 0-0 with a 2.00 ERA (9 IP - 2 ER), seven strikeouts and four walks. In his first full year with Triple-A Salt Lake, pitched to a 7-3 record with 13 saves and a 4.37 ERA (59.2 IP - 29 ER)...Led PCL with 48 games finished...Led club in appearances (55), games finished and saves...Led all Salt Lake relievers with seven victories, which also established a career high for a single season with one club...Held opponents to a .171 clip with two outs and runners in scoring position...Successfully converted 13 of 14 save opportunities...Added to 40-man roster in offseason. Tossed no-hitter, April 29, 2010 vs. Tulsa...Named Texas League Pitcher of the Week (April 26-May 3). Selected to play in 2008 Midwest League All-Star Game. Named to 2007 Pioneer League Team as honorablemention pick. July 8, 2018 Boston Red Sox selected the contract of RHP Ryan Brasier from Pawtucket Red Sox. April 4, 2018 RHP Ryan Brasier assigned to Pawtucket Red Sox. March 8, 2018 RHP Ryan Brasier assigned to Boston Red Sox. December 15, 2016 Oakland Athletics released RHP Ryan Brasier. November 4, 2016 Oakland Athletics invited non-roster RHP Ryan Brasier to spring training. April 7, 2016 RHP Ryan Brasier assigned to Midland RockHounds. April 7, 2016 RHP Ryan Brasier assigned to Nashville Sounds from Midland RockHounds. February 10, 2016 Oakland Athletics invited non-roster RHP Ryan Brasier to spring training. September 1, 2015 RHP Ryan Brasier assigned to Nashville Sounds from AZL Athletics. August 14, 2015 Stockton Ports sent RHP Ryan Brasier on a rehab assignment to AZL Athletics. July 7, 2015 Oakland Athletics signed free agent RHP Ryan Brasier to a minor league contract. July 7, 2015 RHP Ryan Brasier assigned to Stockton Ports. October 28, 2014 Los Angeles Angels sent Ryan Brasier outright to Salt Lake Bees. September 1, 2013 Los Angeles Angels recalled RHP Ryan Brasier from Salt Lake Bees. August 20, 2013 Ryan Brasier roster status changed by Salt Lake Bees. July 24, 2013 Salt Lake Bees placed RHP Ryan Brasier on the 7-day disabled list retroactive to July 21, 2013. May 21, 2013 Los Angeles Angels optioned RHP Ryan Brasier to Salt Lake Bees. May 16, 2013 Los Angeles Angels recalled Ryan Brasier from Salt Lake Bees. May 6, 2013 Los Angeles Angels optioned Ryan Brasier to Salt Lake Bees. May 1, 2013 Los Angeles Angels recalled Ryan Brasier from Salt Lake Bees. March 15, 2013 Los Angeles Angels optioned Ryan Brasier to Salt Lake Bees. December 6, 2012 Naranjeros de Hermosillo placed RHP Ryan Brasier on the reserve list. November 20, 2012 Los Angeles Angels selected the contract of Ryan Brasier from Salt Lake Bees. October 9, 2012 RHP Ryan Brasier assigned to Naranjeros de Hermosillo. February 12, 2012 Los Angeles Angels invited non-roster RHP Ryan Brasier to spring training. July 4, 2011 Ryan Brasier assigned to Salt Lake Bees from Arkansas Travelers. 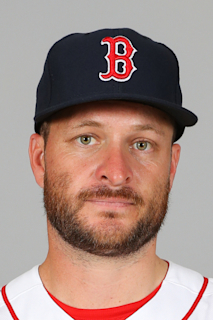 June 4, 2011 Ryan Brasier roster status changed by Arkansas Travelers. January 28, 2011 Los Angeles Angels invited non-roster RHP Ryan Brasier to spring training. August 31, 2010 Ryan Brasier assigned to Mesa Solar Sox. June 1, 2010 Arkansas Travelers placed RHP Ryan Brasier on the temporarily inactive list. April 6, 2010 RHP Ryan Brasier assigned to Arkansas Travelers from Los Angeles Angels. February 3, 2010 Los Angeles Angels invited non-roster RHP Ryan Brasier to spring training. May 19, 2009 RHP Ryan Brasier assigned to Rancho Cucamonga Quakes from Arkansas Travelers. April 18, 2009 Ryan Brasier assigned to Arkansas Travelers from Rancho Cucamonga Quakes.